If you're building a Raspberry Pi project and need to send data back-and-forth, the WiFi module built into newer Pi's should be fine for most cases. However, WiFi does not have a long range and also requires both investment (through your ISP) and setup (routers, access points, network security schemes). If you're deploying your project somewhere more remotely, without WiFi or a strong cellular network, like a farm, you'll need another option. Something that can be deployed quickly with no overhead setup and that will transmit/receive over a long distance. By sacrificing transmit speed and the amount of data which you're able to send, packet radios can transmit much farther than Bluetooth Low-Energy and WiFi. This makes using a radio perfect for scenarios where your project would need to periodically transmit sensor and/or device data (such as the Pi's battery life) over a long distance. The RFM69 module can transmit up to 50m and the RFM9x module can send packets up to 2km over LoRa and even further using LoRaWAN! 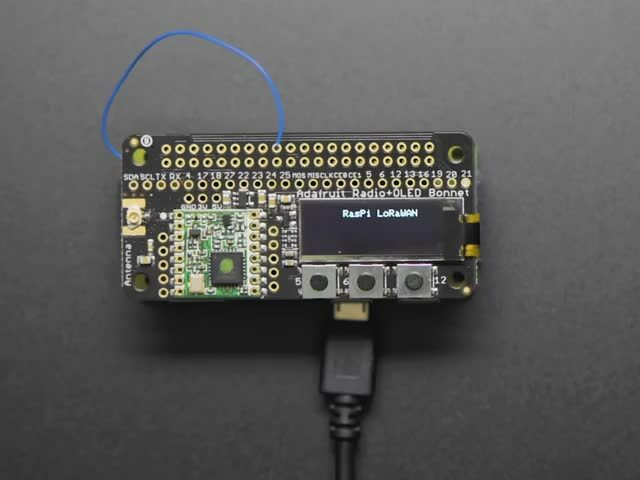 The Adafruit LoRa Radio Bonnet for Raspberry Pi sets you up with a RFM95W Radio Module, a 128x32 OLED display and three push-buttons for LoRa and LoRaWAN experiments. There's also a 433MHz version which uses the amateur or license-free ISM band (ITU "Europe" license-free ISM or ITU "American" amateur with limitations). 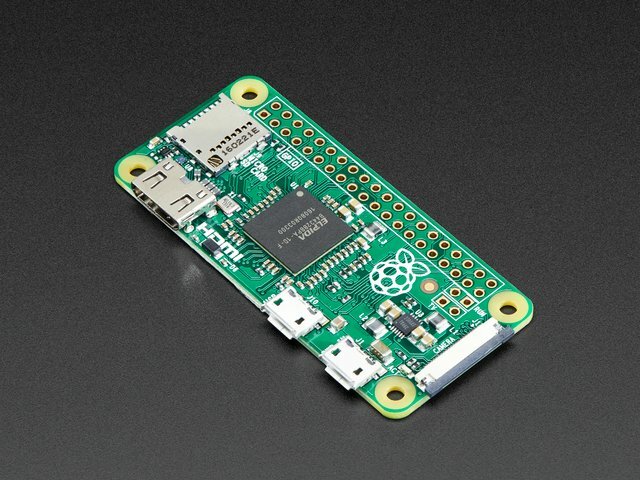 You'll need a way to access the GPIO (pins) from the Raspberry Pi. 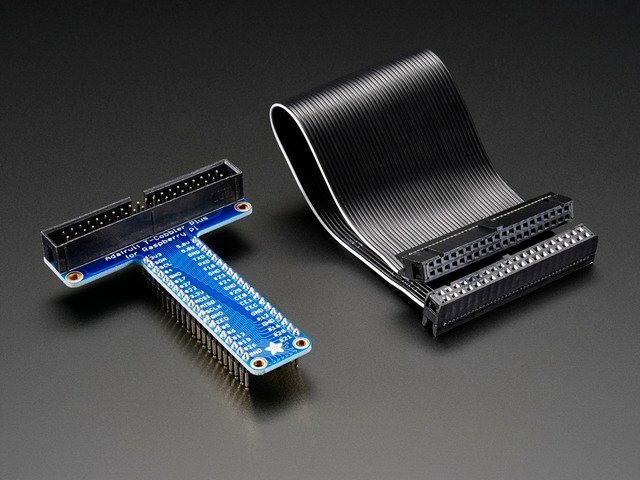 The T-Cobbler plus is a plug-and-play breakout which works with almost every new Raspberry Pi variation. The Pi setup used for this guide is operated as a headless Pi. This means that no monitor is plugged into the Pi and we control it over SSH. 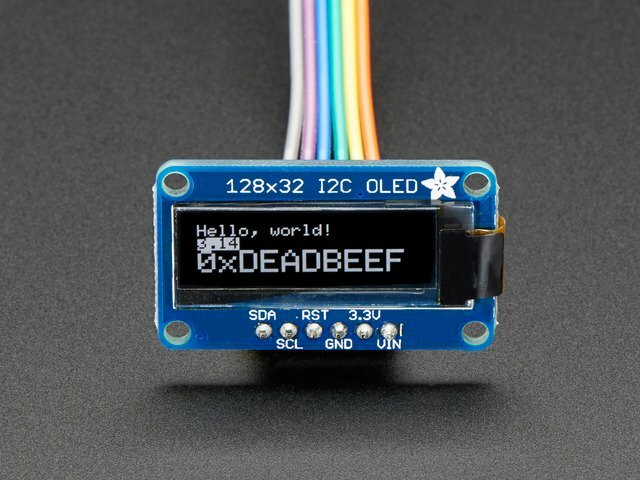 We'll add a small display to monitor and interact with the code. The RFM9x LoRa comes in two different frequencies - 868/915MHz and 433MHz. It can broadcast over LoRa (longer range than the RFM69HCW) and LoRaWAN (even longer range to gateways). This is a 'full-size' breadboard, 830 tie points. Good for small and medium projects. This guide was first published on Jan 18, 2019. It was last updated on Jan 18, 2019. This page (Overview) was last updated on Apr 24, 2019.